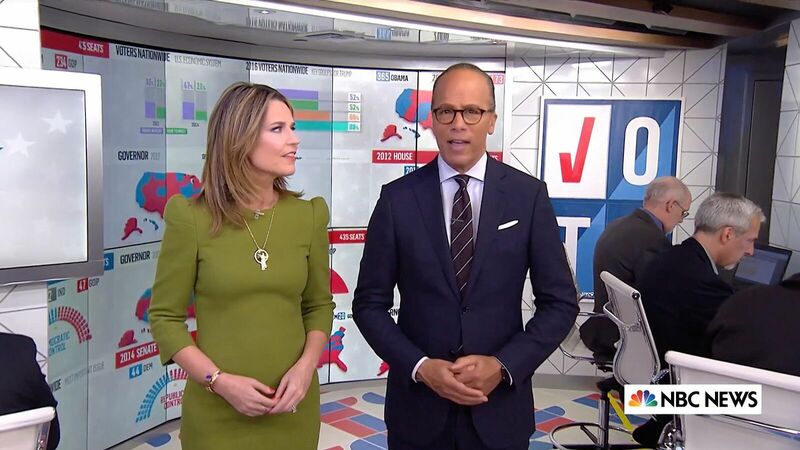 NBC News‘ “Today” updated its social media and multipurpose space dubbed the “Orange Room” after last week’s election. 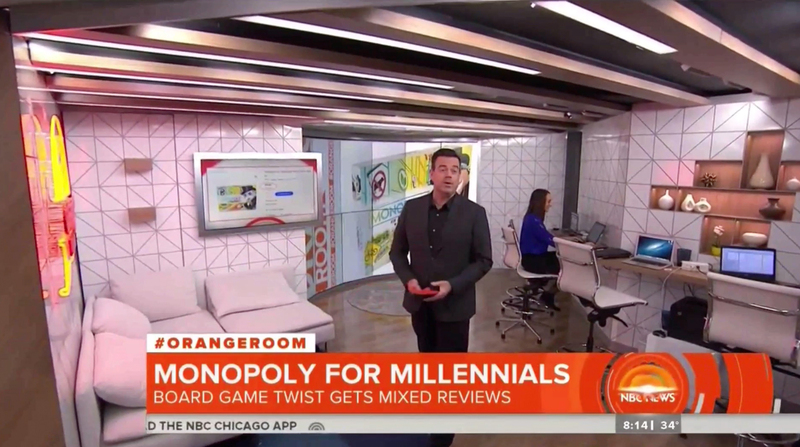 The show officially “re-opened” the Orange Room Thursday, Nov. 15, 2018 with a segment about “Millennial Monopoly” with Carson Daly, who poked fun at the fact the room is actually no longer orange — and compared it to a diner and travel agency. The Orange Room first appeared as part of Studio 1A following a 2013 renovation that slightly expanded the studio’s footprint. 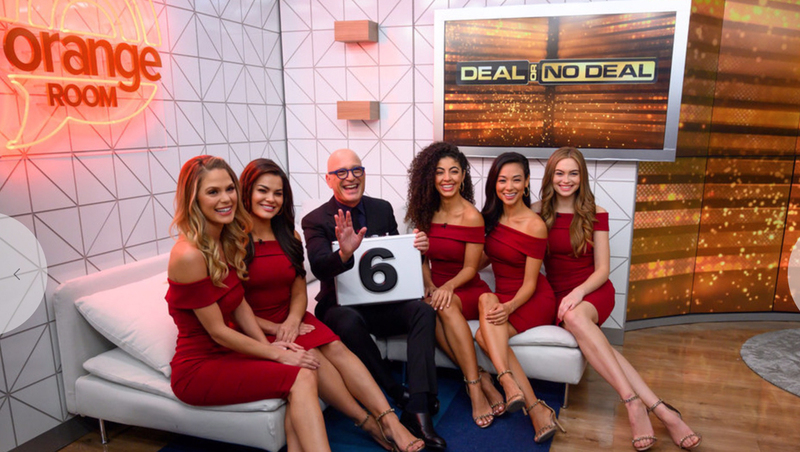 The space was billed as a home base for Carson Daly’s social media driven reports. The space has also been used for a “play pen” for the puppies the show fosters while training to become service animals. Elements of the update actually first appeared election week, when NBC turned Studio 1A into its ‘Election Center‘ that was used across NBC broadcasts. The space’s faux white brick walls were removed in favor of a triangular white pattern. During election coverage, the walls were also decorated with temporary election imagery, such as the ‘Vote’ poster in this shot. The space also included a red, white and blue geometric floor covering. 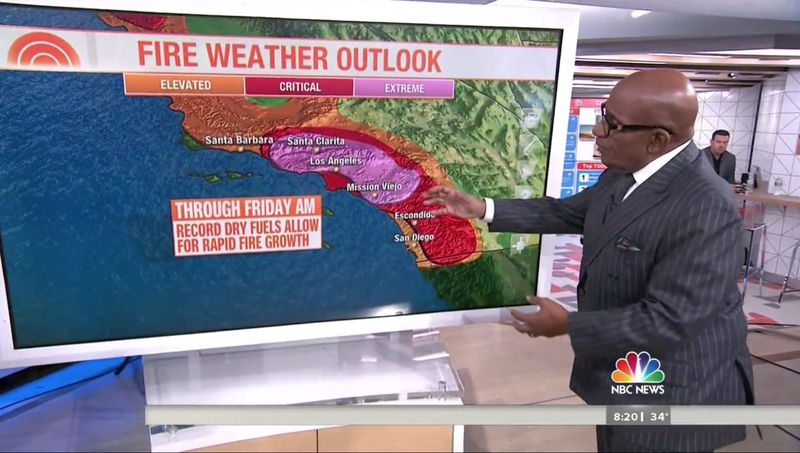 The venue also shows up behind Al Roker’s weather reports, such as this one from after the election. It is also used as an alternative standup-style venue and the occasional segments that focus on social media or interactivity. The new version of the orange features a neon sign version of the logo, a sofa and work counter. The space also boasts light wood beams along with ‘cubbyholes’ for decorative items. The matching wood and frosted sliding wall that was installed before the election remains in place, allowing the show to close off the space. Since it first appeared on ‘Today’ after the election coverage, the geometric floor covering has been removed.